Ch CandyLand's Jelly Belly is a Gummy, Kit Kat baby that finished last year and produced her first litter in April last year. 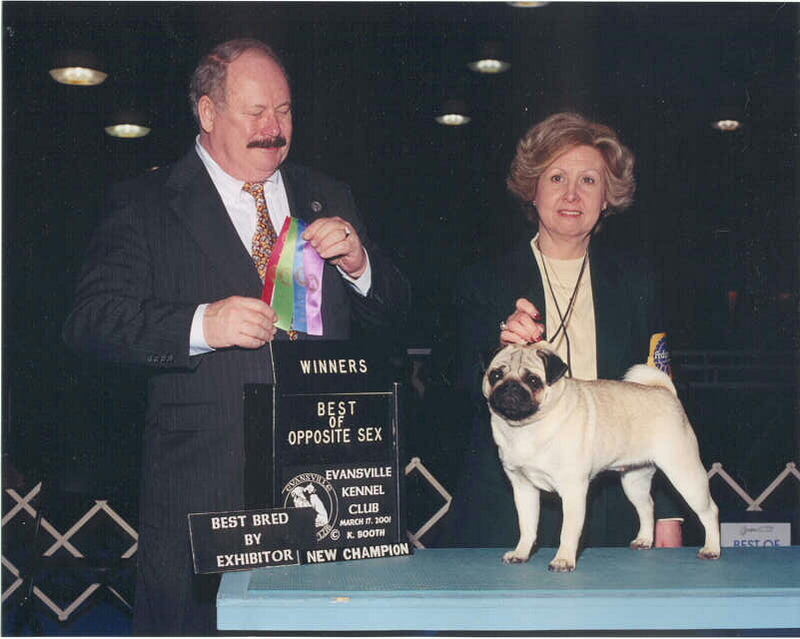 She was bred to Ch Westin Wet Your Whistle and produced four lovely show puppies. All four puppies from this breeding have finished and the second litter is being shown now with one finished and more to come soon. Her last litter out of Ch Shorline's Pumpkin Bumpkin will be in the ring soon too. Jelly recently earned her third star to her ROM giving her 12 champions to date. She currently has 1 more baby to finish! She has produced some lovely puppies for us and is now going to be retired. Jelly has been awarded the Mary S. Pickhardt Memorial Award by PDCA for producing the greatest number of champions of record for 2000 to 2004. She produced nine champions during this period.